Would Attendance of Emir of Qatar of GCC Summit in Kuwait End Gulf Row? 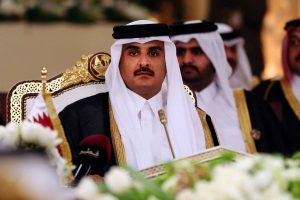 Qatari foreign minister has confirmed that the Emir of Qatar Sheikh Tamim bin Hamad Al-Thani is expected to attend the annual summit of Gulf Arab heads of state in Kuwait on December 5 and 6, despite an ongoing dispute between Saudi Arabia, the UAE and Bahrain on one side and Qatar on the other side. This GCC summit is the first since Saudi Arabia and its GCC allies severed diplomatic ties with Doha and imposed a land, sea and air blockade on the country, which they accuse of supporting terrorism and serving Iran’s agenda in the region. The invitation of Qatar’s Emir to the summit is a continuation of Kuwait’s mediation to bring the GCC countries closer. The GCC summit has been organized annually in December with the participation of the heads of state of member states. This year it marks six-month after the beginning of the blockade on Qatar. It is not yet clear who will represent the other members of the GCC at the gathering. Certainly, if delegations are downgraded, that would augur ill for finding a solution to the Qatar-Saudi row. Written by: meconfident on December 4, 2017. Last revised by: Jaber Ali, our reviewer, on December 3, 2017. Posted by meconfident on Dec 4 2017. Filed under Gulf News, Headlines. You can follow any responses to this entry through the RSS 2.0. Both comments and pings are currently closed.